While the Vale Bowling Club has no formal association with the Dumbarton and District Indoor Bowling Club we should give "the indoor" a wee plug since they don't have their own website. Many Vale members also enjoy membership of DDIBC. For many years we spoke about having an indoor bowling facility in this district. The late Kenny Milne, a member of the Dumbarton Bowling Club, was one of the early driving forces behind the initiative to build the club as was our late Hon. President, John Nicolson. As far back as 1982 a proposition to convert a vacant factory building behind the old Royal Naval Torpedo Factory in Alexandria was held not to be viable. Soon after this a committee was formed and members of the local clubs were each asked to invest £195 towards funding the indoor bowling club. There was a good response to this but it took quite a few years before the club was eventually opened in 1996. On the bowling green Dumbarton and District Indoor Bowling Club have come a long way since then. 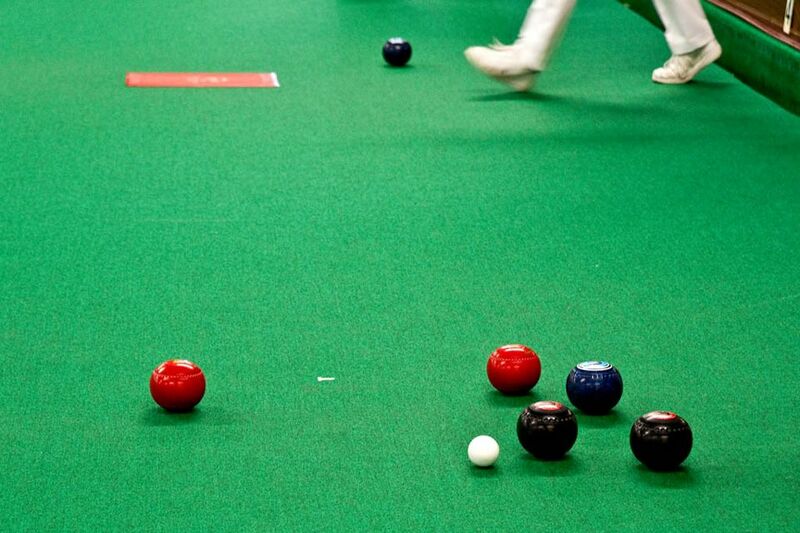 The teams took a couple of years to gain some consistency but the men's women's and senior teams are now respected in indoor bowling circles throughout Scotland.